Actually, this was my summer few days off, but what the heck! I wasn’t working! This week provided a very special treat. 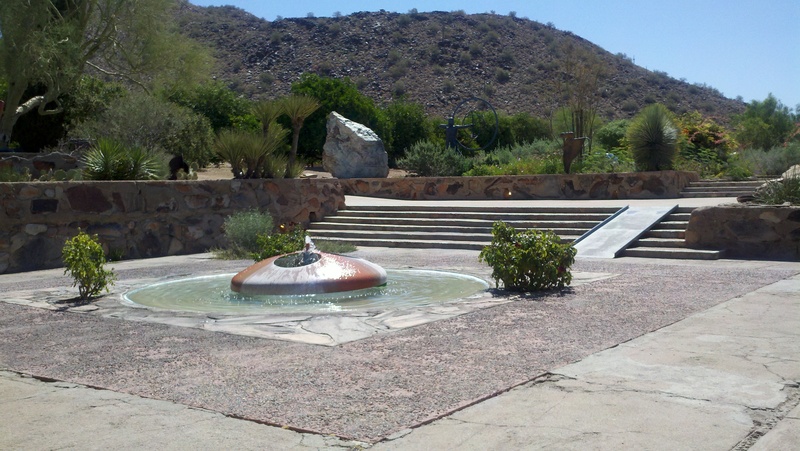 I got to go to Taliesin West, Frank Lloyd Wright’s Arizona home. I’ve been a Wright fan all my life. I grew up in Wisconsin, which is peppered with his buildings all across the summer landscape and the buildings of his apprentices. I had toured Taliesin in Spring Green, WI; I had driven by the Robie House in Chicago and the one in Oak Park; I gawked at the Johnson Wax Tower in Racine. Indeed, we are such great fans that the only house we ever built is clearly influenced by the Prairie School. 1. 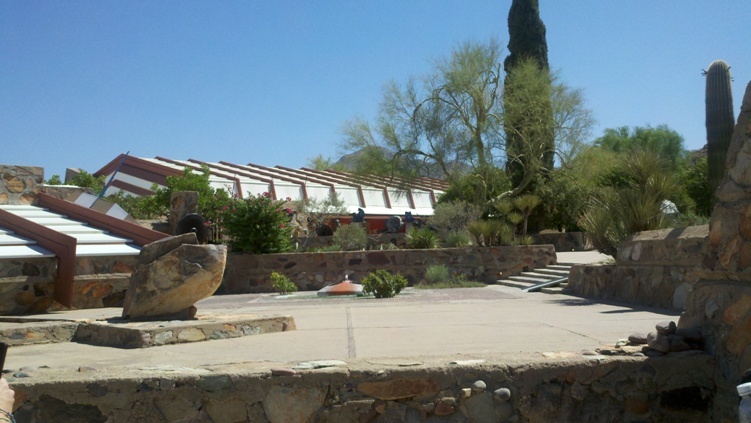 Taliesin West is the only home Frank Lloyd Wright built for himself. 2. Several of his original apprentices (well into their 90s) still live onsite. 3. The FLW School of Architecture is in residence Fall through Spring. They move to Spring Green for the summer and must drive because that’s what FLW did. 4. The reason Taliesin West has so much redwood was because Wright got a really good deal on it at the lumberyard. It is not a good building material for hot desert climates. 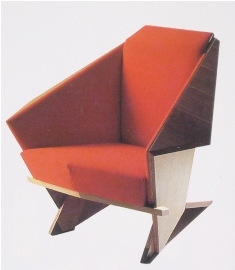 And here is the best part: I actually got to sit in an original plywood origami chair!